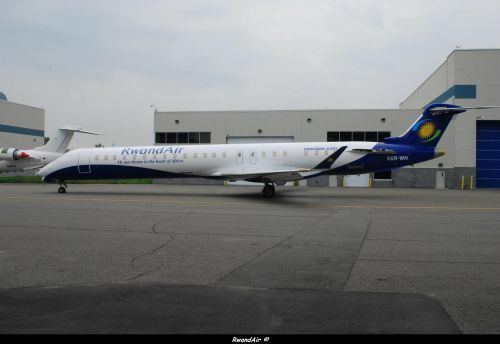 According to Amadeus (23 AUG 2012), from 31 OCT 2012, RwandAir will start CRJ-900 flights and will add more flights to Congo, Uganda, Dubai, South Africa and Gabon. Timetables are subject to change. NEW!!!!!! RwandAir reveals first destination that will be served by the brand new CRJ-900NG, it will be Entebbe. Furthermore, RwandAir will add more flights to Uganda. About Libreville and Brazzaville, RwandAir will add two more weekly flights on each destination. New flights will be operated NON STOP. The airline keeps the triangular three weekly service. BZV : Brazzaville - KGL : Kigali - LBV : Libreville. About Dubai, the airline will add 7 more weekly flights. Expect for on Thursday, RwandAir will operate two flights a day between Kigali and Dubai. DXB : Dubai - KGL : Kigali.